Warning: If you find that this article is little too long or just want to see the videos , feel free to register here to get a mini web-series video about fashion and petrol. Otherwise, enjoy the article below ! Fashion is big business. No doubt. Worth $2.4 Trillion worldwide, it is definitely big business. So much so that if it would be a country, it would be the world’s 7th largest GDP economy. A quick google search indicates that France currently occupies this position. It involves an astounding number of actors which are all interconnected through elaborate relations. From concept to production, to market and your wardrobe, there is a long way. Most people, don’t generally realise that there is a very intricate and mysterious beast unpoetically called “The Supply Chain” which crosses many countries and has links to other industry sectors like agriculture and marketing. It is a hard to grasp concept in its entirety for most fashion bands, let alone for the consumer. If you are interested in understanding this concept, this Good on You article is very helpful. This means that the information we are left with, is the tag on the t-shirt which tells us where it was allegedly made, what material it is – using words that could really mean anything to you or me, and some symbols about how we should care for it. Unfortunately, there is a lot more to a piece of garment than this label. One has to dig really deep to understand where clothes come from and what they are made of. as your morning cereals), an animal ( killed for the skin or sheared for the wool), some chemical cocktail or any combination of the above. And that is basically it. No more…..
For some reason, that is not well translated on a tag. Most consumers don’t really think about it but polyester, nylon, acrylic, spandex textiles are made of the same stuff that you put in your car. 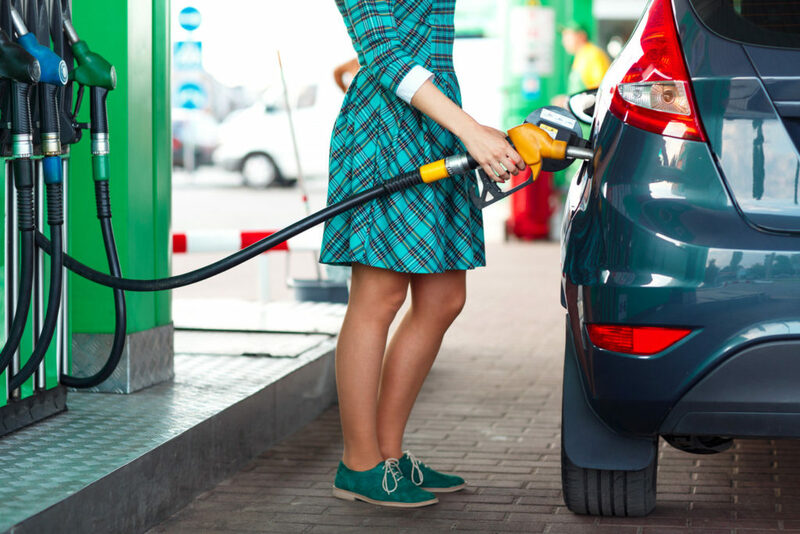 Next time you fill up your car…. Look at your socks and shirt…. Yep, both can come from an oil rig. For example, to make polyester, two petroleum derived products are used. The process can vary a bit from company to company but in a nutshell. This is how it’s made. Hydrocarbons are transformed through steam cracking (heating hydrocarbons to ridiculously high temperatures) so that Ethylene is separated and extracted. Etylene is an alcohol also used to make plastic bottles and as a plant hormone in the agricultural industry. The other component is terephthalic acid which comes from a mixture of tar and petroleum through xylene-oxydation which is an energy intensive process. Xylene is a powerful solvent and is considered toxic. It used in the rubber and leather industry notably. 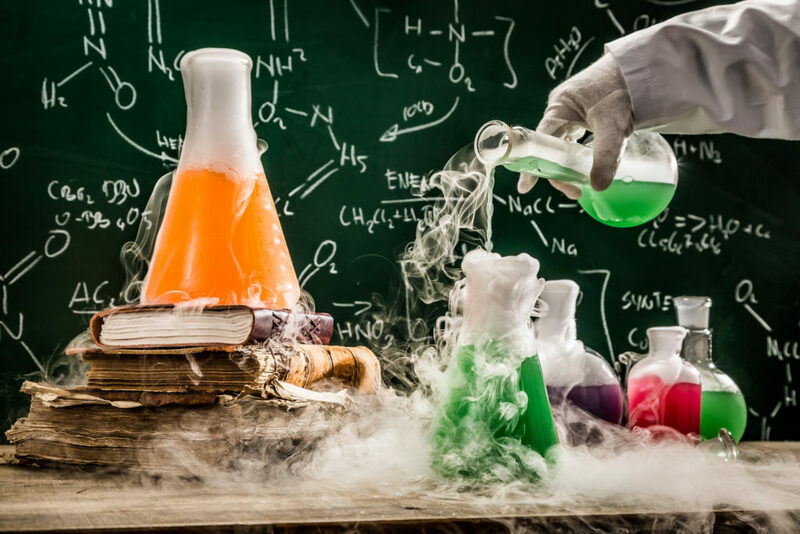 The actual process by which polyester is made is called polymeristation which involves mixing the etylene and terephthalic acid at high temperatures. Long ribbons of polyester are then extracted from this mix. The ribbons are dried and cut, re-melted and then filaments are extracted. They can be mixed with other products such as cotton or other synthetic fibres. Some resources to further satisfy your inner nerd can be found here, here and here. Ok – end of nerdy bit…. Not only those fabrics are from non-renewable sources, they generally quickly end up in the landfill thanks to fast fashion and are not biodegradable. Plus, they leach out a poisonous cocktail in the soil and water streams once they end up there. This is without mentioning that they have been associate with allergic reactions like eczema in some people. They even start leaching out chemicals and microplastics in your washing machine drain. So, instead of reading polyester on a garment tag, one should actually read the following warning: This product is derived from petroleum. Garment tags are surprisingly misleading. So next time you read one, replace polyester, nylon, spandex by petrol, then only, it starts making sense….. And where it was allegedly made, as per the garment tag, has nothing to do about where it all started. Although, it says on the tag that it was made in Bangladesh, it could well be that the polyester fibre originates from the oil rigs of Saudi Arabia. You will not find this on the tag. So, in summary, there are quite a few things wrong synthetic fibres but most notably they all have one thing in common, they are derived from petroleum. As we saw, this has several consequences. Something that is particular to petroleum derived textile and their cousin the plastic bottle, is the fact that they do not biodegrade. They end up in our environment, whether it be the ocean, the forest or the landfill and break down in small pieces that are absorbed through the food chain. Not only do they never really go away but they can leach toxic by-products in the environment. But it is not all gloom and doom. One way to reduce the use of polyester and the like is to avoid, or at least reduce, polyester and other petroleum derived products in favor of more natural fibres such as organic cotton. 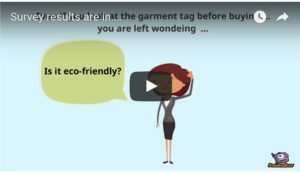 Check the garment tag for polyester , nylon, acrylic, spandex, microfiber and try to avoid them. For the ones already in your wardrobe or the garments that you just have to buy, wear them for as long as possible and donate them to extend their useful life. It can be hard to find but in some places, they can also be recycled or repurposed. One reason why we are so addicted to petroleum textiles is that other natural fibres like cotton do not have the “elastic” property that elastane or spandex which is so widely spread in the production of swimwear and active wear. There is good news thought and innovation has now made possible the recycling of PET bottles into textile. 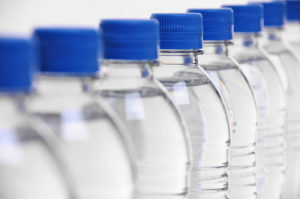 At least, a second life can be given to those plastic bottles and PET products can be re-used. Problem is, those recycled products can be hard to find on the mainstream market and how we dispose of those recycled products is still and issue. Nevertheless, this is better than manufacturing an entirely new product. Reducing our petrol addiction starts small. Don’t throw everything your own to start afresh. Keeping your favourite items for as long as possible is a good option. But next time you need something, try to avoid polyester and the like. Try to buy second hand or recycled polyester. 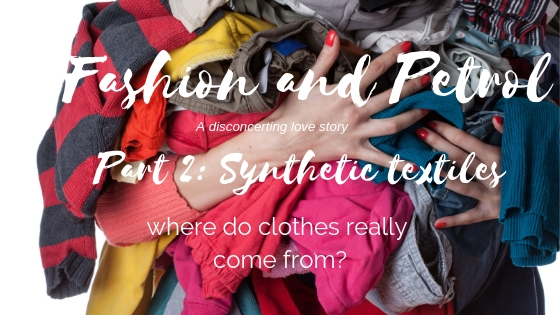 PS – If you have found this article interesting, please share or register here to get a mini web-series video about fashion and petrol ! 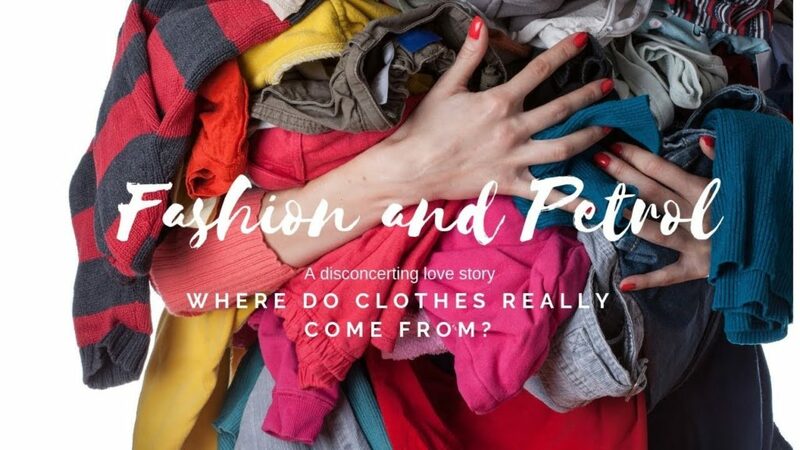 Fashion and Petrol : A love Story – Where do clothes really come from ? What has climate change, plastic found in the stomach of turtles, oil spills, and city smog have in common? You probably have guessed it. Our dependency on petrol and its derivatives. So many conveniences in this modern world we have become accustomed to are rooted in this black gold. To a point where we do not see it anymore. Just like we are starting to forget that food does not magically appear in supermarkets, we forget that the ton of things we buy in shops do not just grow on shelves. And I am not ridiculing anyone here. I am no better. I consume excessive amount of stuff…. Wrapped in plastic. I am merely observing what I do, what we collectively do and wonder. Does it really have to be that way? Thankfully, there are lots of positive movements out there, whether it is organic food, plastic free lifestyle, vegan diet, and energy reduction. Alternative options are getting more attention. However, I feel that one area which is not talked about as much as it should is what we wear, put in our suitcase when we go travelling and how it is linked to how we treat the planet. So, let’s talk about socks, skirts, pants, t-shirts, and petrol. Despite what the big fashion brands would probably like us to believe, clothes do not appear miraculously in shops, ready to be hung by smiling shop assistants. No, they generally come from half way around the globe and back a few times. 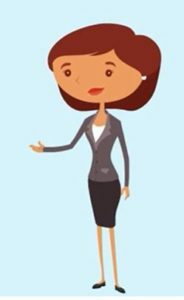 Unfortunately, the garment tag, somewhere on the side rim of your shirt, will not be of much help to determine how and where it was made. A shirt may be labelled as “Made in China”, but chances are it has already travelled long distances before even getting to China. 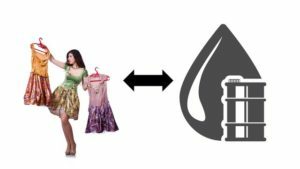 Surprisingly, petroleum is a pervasive component of the textile industry, and it is not always obvious how it relates to your new dress or pair of pants. But first, why is important anyways? There has been talk about plastic and how it ends up in the marine environment and the stomach of turtles and other species. 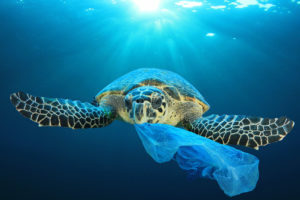 Plastic, which is in fact derived from hydrocarbon has the property of breaking up but does not degrade, that means that it breaks down but never really goes away, filling up our environment and being absorbed by living organisms all throughout the food chain. It poisons our land and water courses and kill animals. All this because, at the source, it is derived from petroleum/hydrocarbon ( I will be using the term interchangeably for this blog). Petroleum products are not renewable energy sources, meaning we do not have an unlimited supply. They result in global warming, they can contribute to political instability and are an environmental risk. Spills have been known to destroy ecosystems and kill animals. They are a real environmental risk, and our dependence on black gold can be traced even in your underwear. From a consumer perspective, how much we pay for our clothes is linked to the price of oil as it is intrinsically linked to the fashion industry. One the one hand is has allowed clothes to be transported on long distances and on the other allowing cheap labour to be exploited in developing countries. 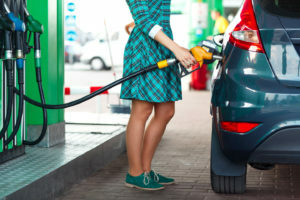 The cheap price of petrol has been the basis for filling up our wardrobe and suitcase with cheap and throwable fashion, now plaguing landfills around the world. In the next articles, I will attempt to follow the trace of black gold into our wardrobe or what we bring with us in our suitcase. From textile production to dyes and transport. Can’t wait for you to read those articles. I think you will be surprised, I was! If you prefer, you can check the first one here. Here at Tropical Suitcase, we love packing our suitcase and explore the world, but we are also curious about what is in that back pack. What is really in our suitcase? Let’s find out. Join us for an adventure and check out our website and see us on Facebook and Instagram! Until next time, take care !